What's quite pathetic, as I see it, is that many critics won't even begin to get Rob's real point. 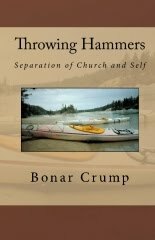 (I've read the book, so I'm not just going by conjecture....) It's not that he's being given a multiple-choice test between a) traditional exclusivism and b) traditional universalism, and he's choosing b) instead of a). Rather, it's that Rob has come to see that the biblical story is bigger and better than a narrative about how souls get sorted out into two bins at the end of time. The right wing of Evangelicalism will, I imagine, require people to answer the "Bell question," and in so doing, pass or fail the latest litmus test. Those who fail will be purged - which appears to be the purpose of John Piper's already-infamous tweet, "Farewell, Rob Bell." (Fare "well?" - is this a sign of sympathy? 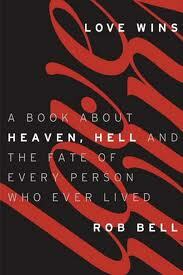 It could have been - "You're going to hell, Rob Bell!" - Ah, perhaps John Piper is a closet universalist too? - Just kidding, of course.) Many, subjected to these litmus tests, will capitulate and throw Rob under the bus, even though in their heart they think he's onto something. Others will try to stake out a pseudo-middle position, respectable with conservatives without being needlessly mean-spirited towards Rob, but they'll make sure to distance themselves from him. Hopefully more than a few who in the end disagree will do so in a fair, honest, charitable way, having truly and openly considered what Rob is proposing.